Simrads brand new NSS EVO3 is redesigned with some new features and layout. 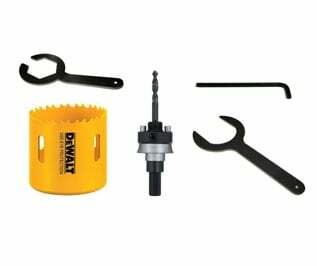 This unit has been highly anticipated after how popular the NSS EVO2 unit has been. 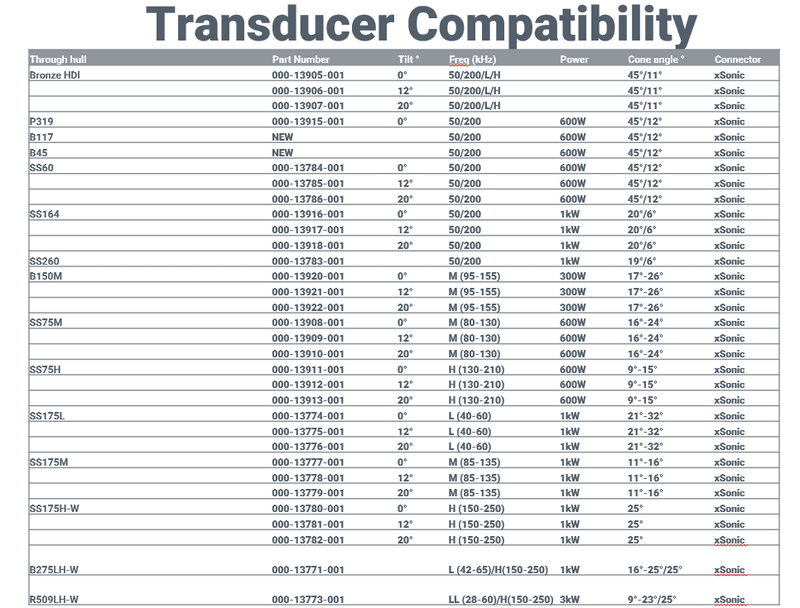 Hopefully this answers any questions about the new Simrad unit and limits any confusion on these newly designed units. 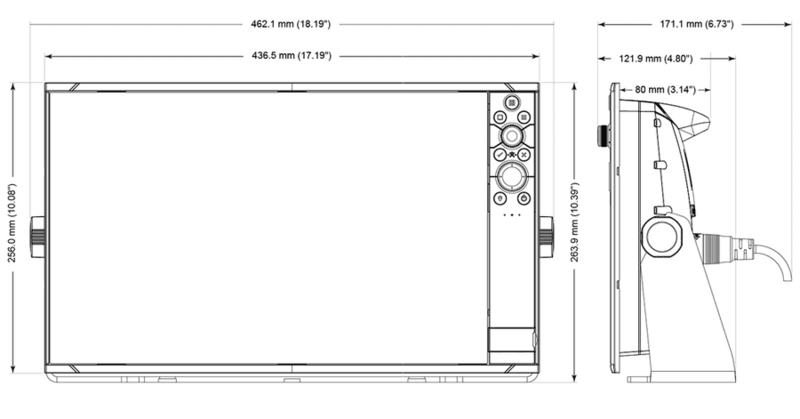 LAYOUT: The NSS EVO3 will have an all new SolarMax HD Display screen. This is an all weather screen that is easily visible even in direct sunlight. 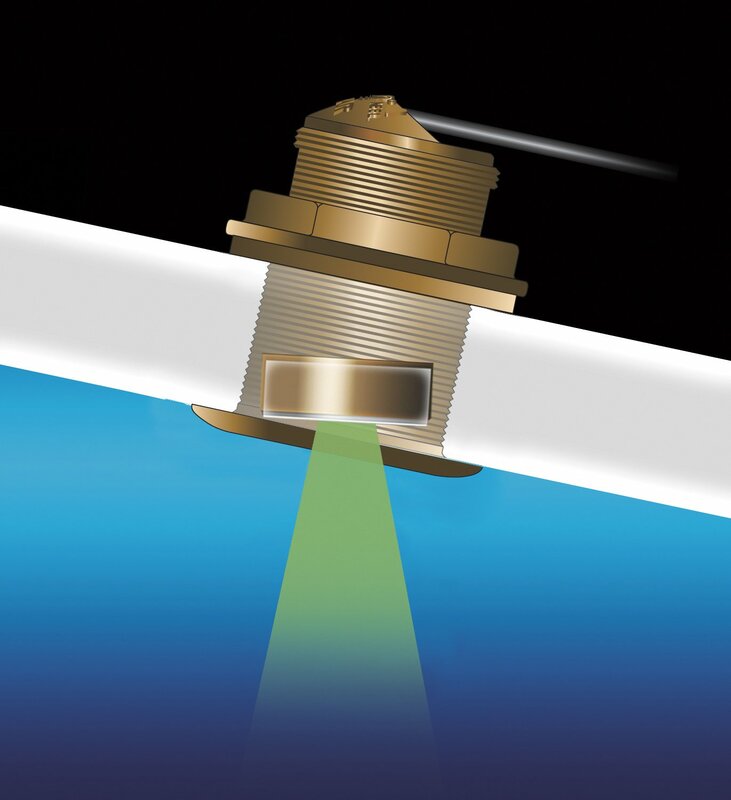 It can be viewed from almost any angle while maneuvering around your vessel. 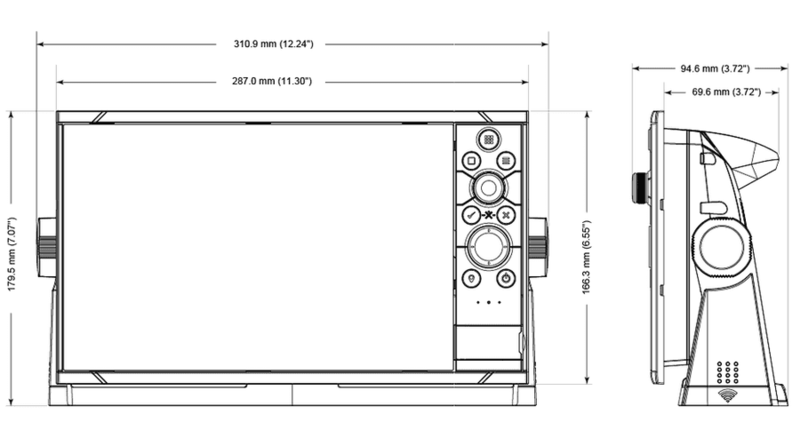 For the button layout on the EVO3 the unit will have a rotary controlled dial and a button operated keypad. 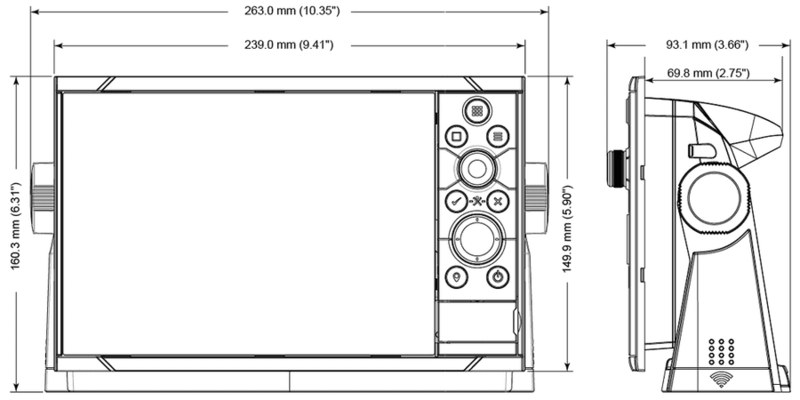 Of course this unit will will still have that seamlessly smooth touchscreen that Simrad is known for. There is also a customisable function key that allows for quick page changes to whatever screen is programmed to the key. ANTENNAS: This unit will have a 10Hz built in GPS antenna with the option to add an additional external antenna for those unique installs where the the built in does not get as clear of a signal as needed. Along with the built in antenna this unit will come with built in WiFi receiver and WiFi Link. This allows you to connect to wireless network that are available in your area or connect to your Ipad or Android tablet. CHARTING: Simrads EVO3 is compatible with a variety of charting options. This product will support C-MAP MAX-N+, Navionics, Insight, Insight Genesis, and NV Digital Charts. 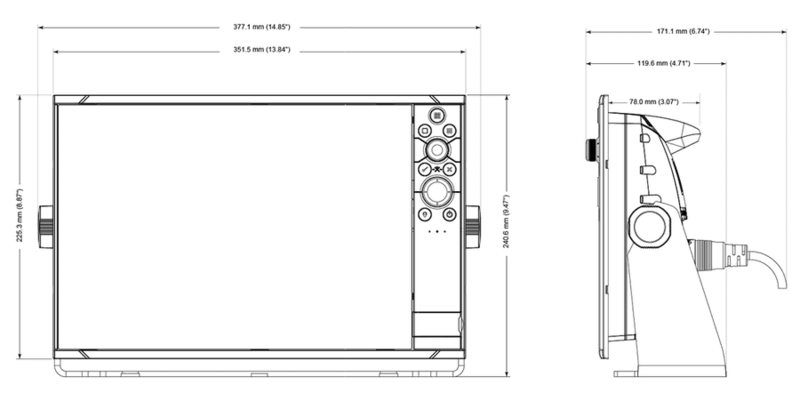 The EVO3 will come preloaded with Insight charts, and can always be switch by purchasing one of the previously mentioned chart chips. Auto routing is available in these units with the purchase of select Navionics and C-Map chart cards. Check out Navionics capabilities on Simrad units here. 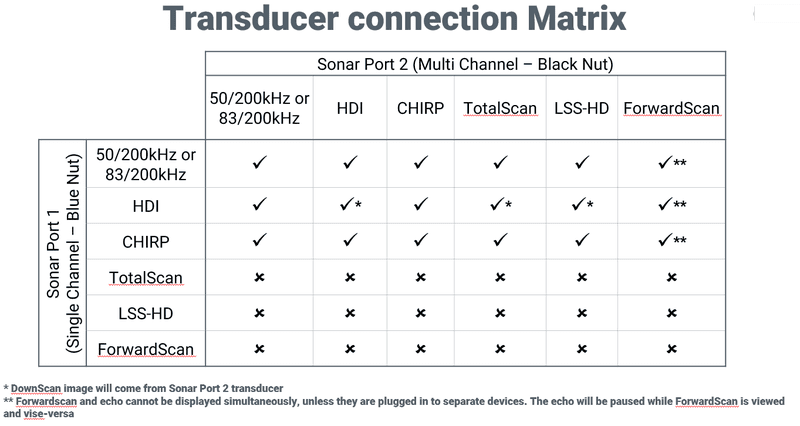 SONAR: The EVO3 will have both a 7-pin and 9-pin sonar port built into the unit. 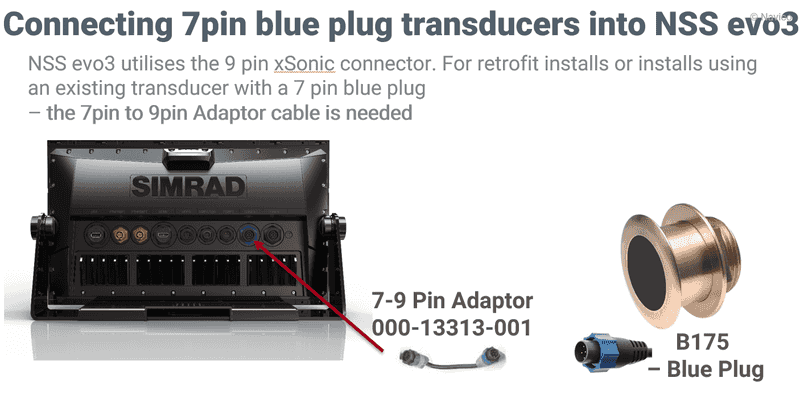 The blue 7-pin port will be used to run your traditional style sonar in 50/200, 83/200, or CHIRP frequencies. 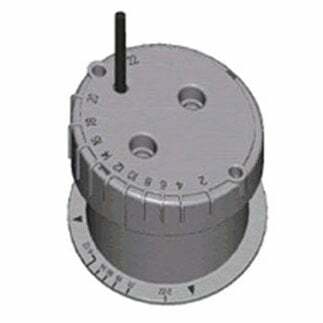 Airmar transducers may also be used for a traditional style sonar via the 7-pin connector. 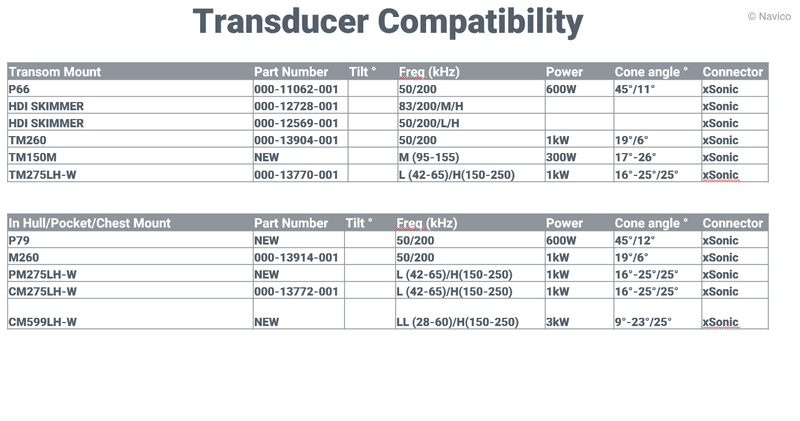 This is compatible with Airmar single channel CHIRP transducers up to 1kw. 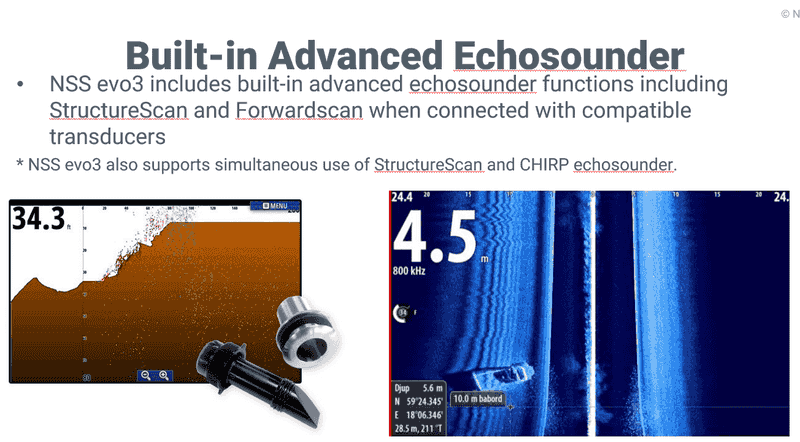 The 9-pin sonar port will be able to run all of Navico's structure scan and forward looking transducers including the Totalscan. There is also a network port on the back of these units that will allow networking to a sounder box like a BSM-3 or 3D Structurescan unit. AUTOPILOT: Simrads autopilots will interface directly into the EVO3. There is the option to run the autopilot system controls directly through the EVO3 instead of through the control head, or of course there is always the option to use the control head in series with the autopilot integrated into the EVO3 for a dual control. With the use of a Simrad pilot the EVO3 will have full routing capabilities using the touchscreen to plan out courses and routes. Check out the all new AP44 Autopilot System from Simrad here. RADAR: All of Simrads newer style digital radars will network with the evo3. 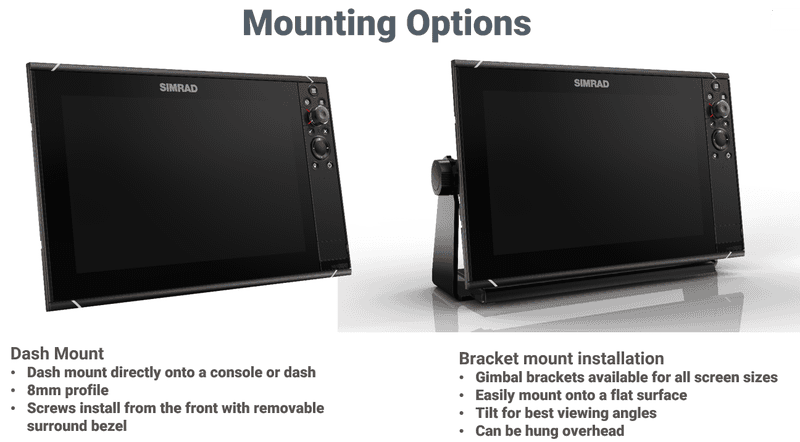 We can run a couple options with the closed dome or open array radars Simrad offers. The most popular choices being the 4G dome and the Halo 4 open array. For more info on the Halo open array radars look at our Halo Radar Page here. 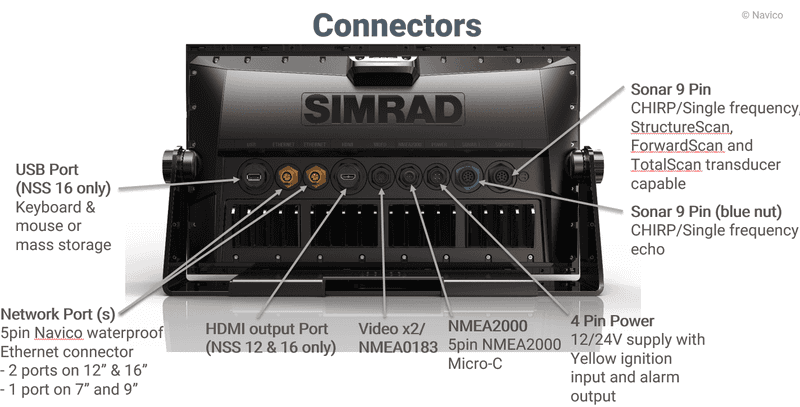 NETWORKING: The EVO3 will have full networking capabilities with other compatible Simrad MFD's. 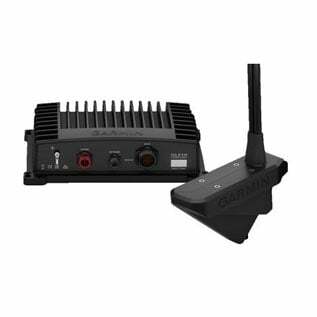 It has NMEA2000 capabilities along with the ability to interface with NMEA0183 devices. There will be atleast one network port on these units depending on size there may be more. 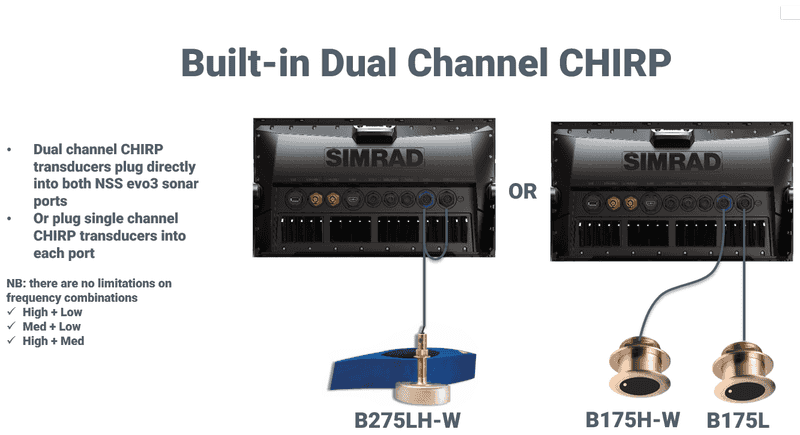 This will allow the use of external Simrad modules and display transferring to other Simrad Screens. 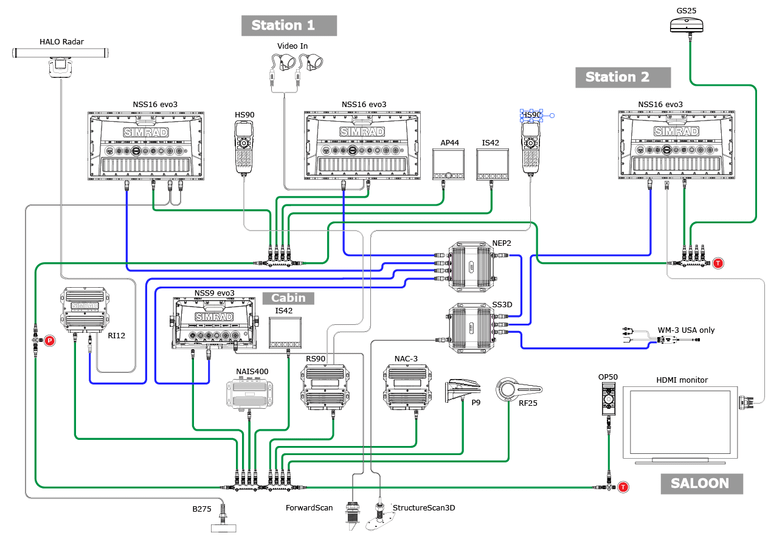 For more info on NMEA2000 Networking Look here for more details. For additional information on this unit or it accessories please give us a call or send us an email here at 1-866-735-5926 or sales@boemarine.com. Here is a link to the online Owners Manual for the all new NSS EVO3.